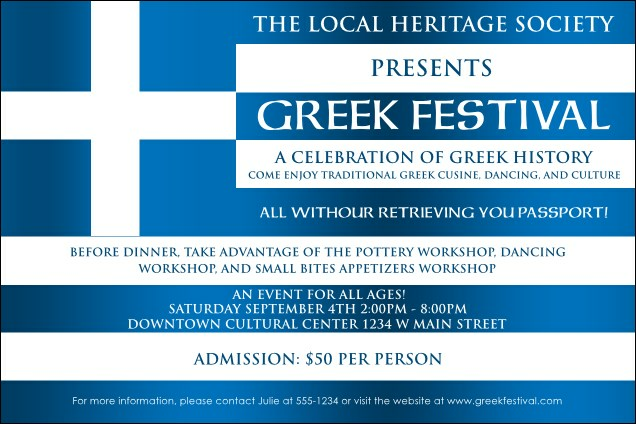 Get notice for your community function or cultural affair with the Greek Flag Poster! They might not be able to explore the ancient ruins of Delos right now, but they can attend your event. Brilliant colors adorn this template and make thirteen lines of your details pop. Attract attention for all your events with the right poster from TicketRiver.com.au!